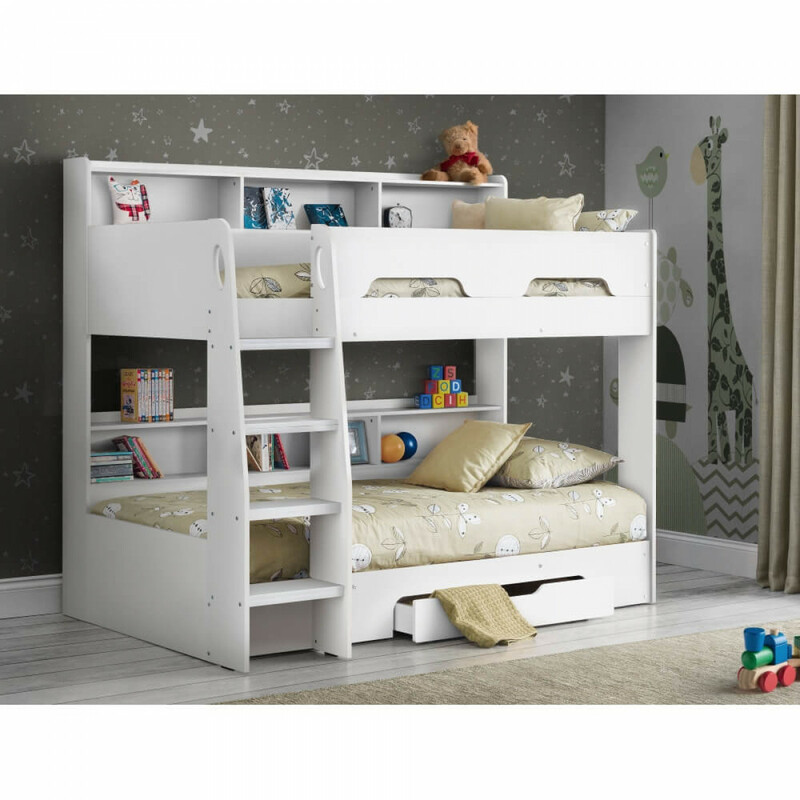 Orion is a contemporary, innovative bunk bed presented in an on-trend Pure White finish. 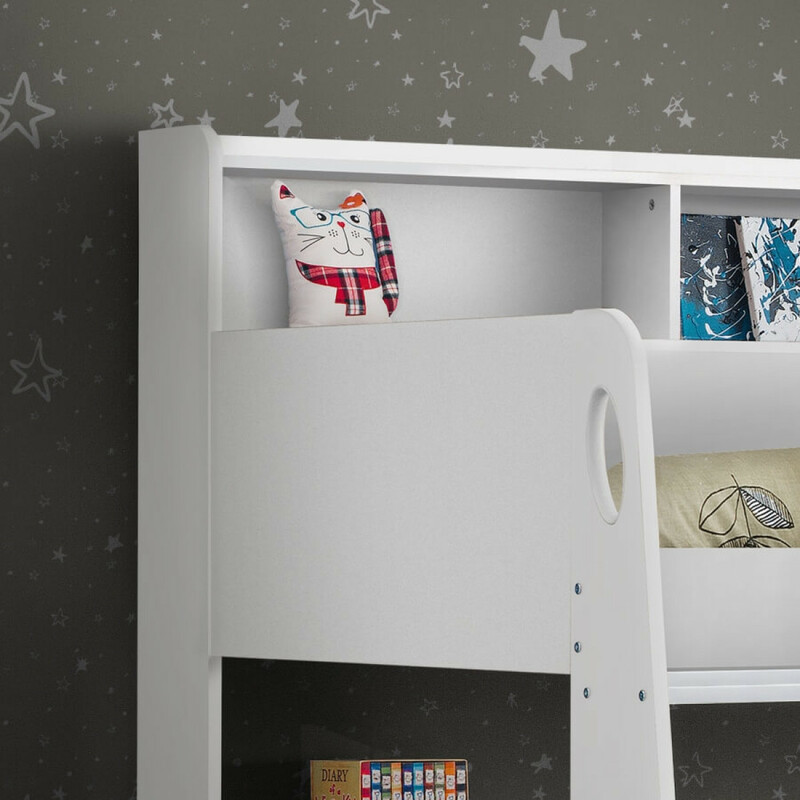 Orion combines style with great practicality and includes a handy pull-out drawer and extensive shelving for kids' books and toys, with a subtle raised lip to prevent anything slipping down the back. The robust ladder features attractive cut-out handles and glow-in-the dark strips on the steps for added safety. Please note for safety reasons the upper mattress must be a maximum depth of 18cm. 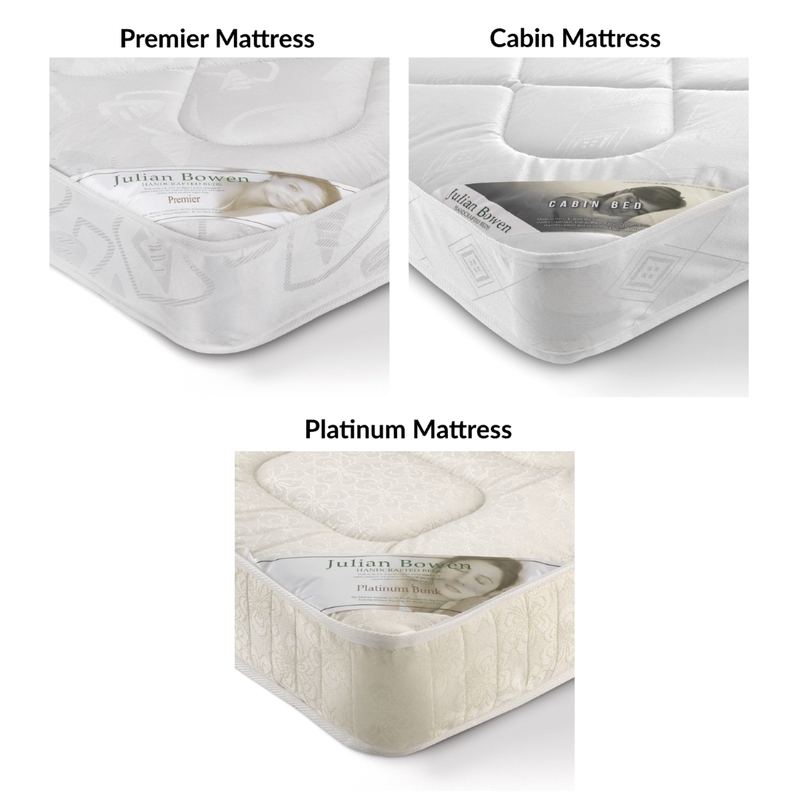 The premier, cabin and platinum mattresses we offer are suitable for this requirement. 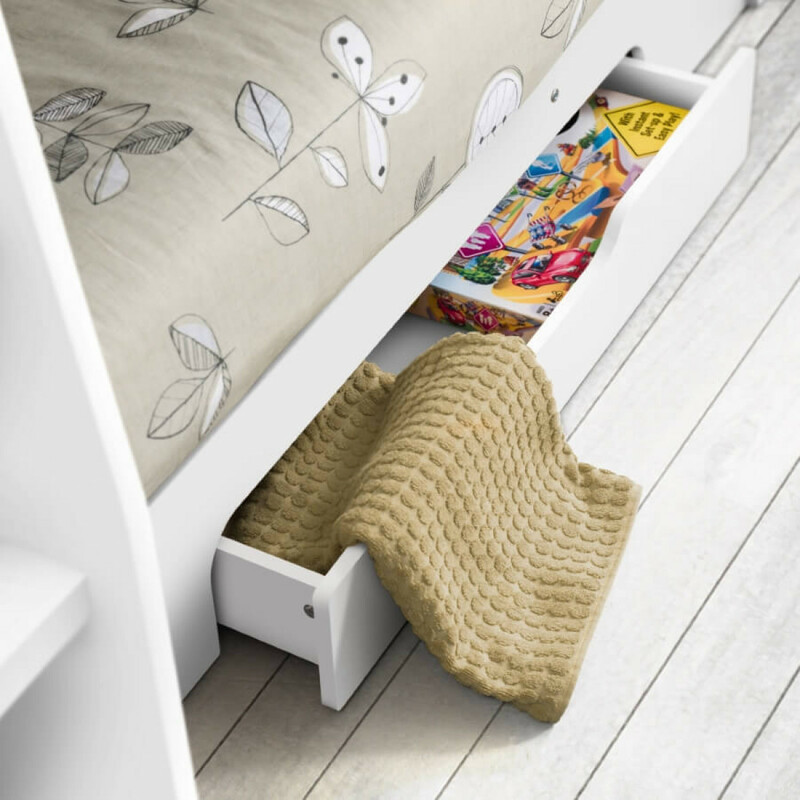 The Cabin Bed Mattress, A 15cm deep stitch quilted mattress with a low profile spring unit for use on Cabin Beds or Bunk Beds where Height Restrictions apply for Safety Reasons. Finished with an oyster damask ticking the Julian Bowen Cabin Bed Mattress offers a great level of comfort for an affordable price - Low Profile 13.5 Gauge Bonnell Spring Unit, Plastic Side Edge Supports, 900 gsm Spring, Insulator Pad, 270 gsm Polyester Filling, Belgium Damask Quilted Cover. 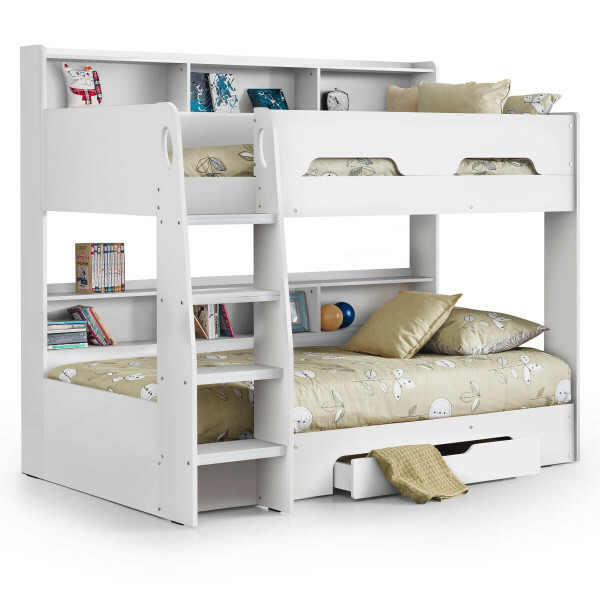 The Platinum Bunk Mattress is an 18cm (7 inch) Medium-Firm Mattress that is specifically designed for use with the upper bunk of Julian Bowen Bunk Beds due to height restrictions. A superior quality mattress with a low profile construction - 190cm L x 91.5cm W x 18cm H, Low Profile 13.5 Gauge Bonnell Spring Unit, Rod Edge Supports, 900 gsm Spring Insulator, 500 gsm Polyester Filling, Belgium Damask Quilted Cover and Quilted Border.